Welcome to the November 5, 2018 edition of ACM TechNews, providing timely information for IT professionals three times a week. 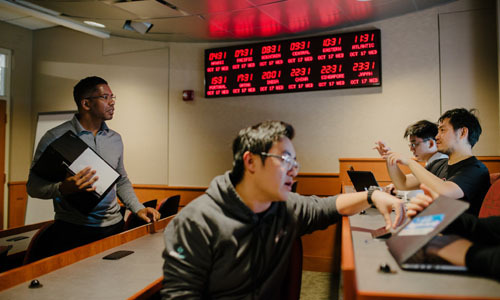 Many U.S. colleges and universities are investing in and expanding artificial intelligence (AI) education, confronting new challenges for teaching the discipline and tackling ethical dilemmas. Said the University of Washington's Emily Fox, "We have to start teaching those who will be practitioners and users in the broad discipline of AI, not just computer scientists." Another key challenge for educators is striking a balance between teaching deep AI fundamentals and some industry players' desire to concentrate on more affordable and less complex training of workers. Stanford University's Fei-Fei Li co-founded the nonprofit AI4ALL to provide exposure to AI to high school students, especially women, people of color, and rural residents via campus workshops; Li said the goal is to foster "a human-centered frame of mind" in next-generation AI scientists and users. Many educators and students agree AI classes must emphasize ethics more to ensure students become professionals who are mindful about the technology's capabilities. Amazon has rolled out a "childhood-to-career" program to encourage underprivileged children and young adults to pursue computer science careers. The Amazon Future Engineer program will set up an annual outreach initiative through coding camps, online lessons, and courses in computer science, while also granting computer science-related scholarships and internships at Amazon. The program's offering for kindergarten through eighth grade includes online classes and camps via partnerships with organizations like Code.org and Coding with Kids, while a segment for ninth- through 12th-graders will fund introductory and Advanced Placement computer science courses for low-income Title I and rural schools. The college-student segment includes four-year scholarships for individuals from underserved communities. Said Amazon's Jeff Wilke, "We have created Amazon Future Engineer because we believe young people from all backgrounds should have help from childhood to career so they can have a future in this highly paid, rapidly-growing field." Several Fortune 500 companies are incorporating virtual reality (VR) into worker education and training, amid evidence that such technology increases retention and productivity. UPS, for example, uses HTC Vive VR headsets in training facilities worldwide to help drivers spot potential dangers when "driving" down a virtual road; with the addition of VR, UPS' driver retention rate has risen to 75%. Queens University and SimforHealth in Canada are jointly developing with HTC a VR training facility for medical students, where trainees will be able to make errors without fatal consequences. Meanwhile, Walmart is expanding its VR training program across U.S. stores using Oculus Go headsets so workers can employ the same academy training scenarios to learn new technologies, enhancing customer service and compliance. Boeing has utilized augmented reality to improve technician productivity 40%, facilitating interaction with hands-free, three-dimensional diagrams during electrical wiring installations in aircraft. 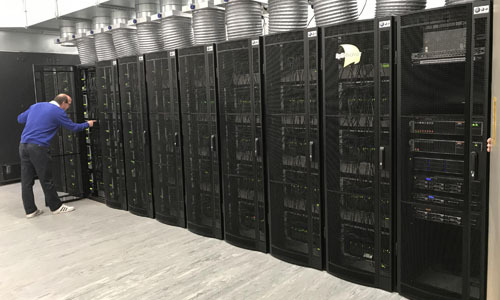 Researchers at the University of Manchester in the U.K. are about to launch a supercomputer designed to mimic the human brain, comprised of 1 million processors capable of 200 trillion actions per second. The Spiking Neural Network Architecture (SpiNNaker) mimics the parallel communication architecture of the brain by sending small amounts of information to different destinations concurrently. Although SpiNNaker is the first step toward creating a model of 1 billion biological neurons in real time, for now it will provide new insight into how the brain works. Researchers will use SpiNNaker to run large-scale, real-time simulations of various regions of the brain; the system also can be adapted to power an artificial intelligence robot, which can navigate and interpret objects in the real world. Manchester's Steve Furber says the robotic system "works as real-time neural simulator that allows roboticists to design large-scale neural networks into mobile robots so they can walk, talk, and move with flexibility and low power." Massachusetts Institute of Technology (MIT) researchers have developed an autonomous system for a fleet of drones that use onboard computation and wireless communication, with no global-positioning system required, to collaboratively search under forest canopies. The system could be beneficial to finding lost hikers. 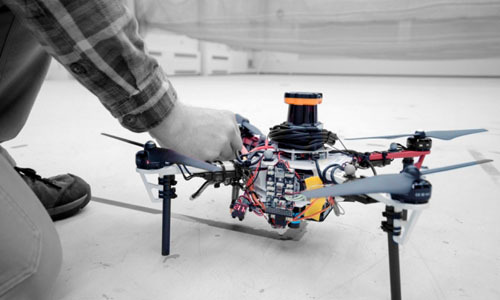 Each autonomous quadrotor drone is equipped with laser-range finders for position estimation, localization, and path planning. As the drone flies through the forest, it creates a three-dimensional (3D) map of the terrain, then algorithms help the drone recognize unexplored and already-searched areas. An off-board ground station combines individual maps from multiple drones into a global 3D map that can be monitored by human rescuers. Said MIT's Yulun Tian, "Essentially, we're replacing humans with a fleet of drones to make the search part of the search-and-rescue process more efficient." Nvidia researchers have developed a deep learning-based system that can identify the three-dimensional position and orientation of an object in a scene, known as the "six-degrees of freedom pose." The researchers trained the computer-vision algorithm on a unique set of synthetic images, and found it was able to outperform a different network trained on real images. This breakthrough marks the first time an algorithm trained only with synthetic data has been able to outperform a network trained on real images for object pose estimation on several objects of a standard benchmark. Said Nvidia's Stan Birchfield, "Ultimately, what we're trying to do is make it possible for a person to teach a robot a new task in a short period of time." 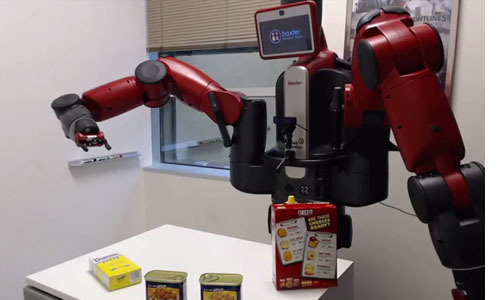 The researchers say their work could unlock the potential for robots to assist people in a variety of settings. iRobot and Google have announced a partnership to enhance smart home devices with location-based awareness. iRobot's vacuum-cleaning Roomba robot can map the floor plan of a home so users can direct it to clean a particular room through a smartphone app or voice commands to a smart speaker. The Wi-Fi-enabled Roombas already can be controlled by Google Home smart speakers, as well as Amazon.com's Echo speakers. Google aims to use iRobot's Imprint Smart Mapping technology to create room-based controls for other smart devices besides the Roomba. Google's Michele Turner said the company has been working to simplify vocal control of all smart home devices and appliances via the Google Assistant. Said Turner, "We're excited to be exploring with iRobot how its unique spatial awareness technology can work with the Assistant to offer customers a more intuitive and personalized experience in their homes." 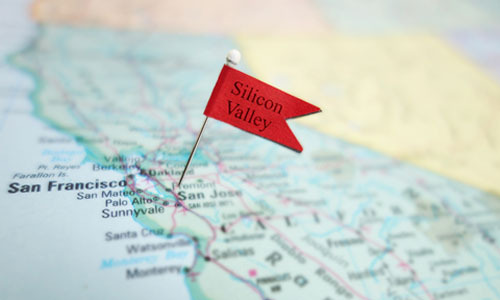 University of California, Berkeley (UC Berkeley) researchers have given random circuit sampling (RCS) a qualified seal of approval with the weight of complexity theoretic evidence behind it. RCS is the technique Google advanced to prove whether or not it achieved quantum supremacy with a 72-qubit computer chip called Bristlecone, unveiled earlier this year. The UC Berkeley team showed producing a random output with a "quantum accent" is indeed hard for a classical computer through a technical complexity theoretic construct called "worst-to-average-case-reduction." They then verified that a quantum device was actually speaking with a quantum accent by using the Goldilocks principle: a 50-qubit machine is large enough to be powerful, but small enough to be simulated by a classical supercomputer. Said UC Berkeley's Umesh Vazirani, "Quantum supremacy is an experimental violation of the Extended Church-Turing thesis. Once that is achieved, the next challenge will be to design quantum computers that can solve practically useful problems." 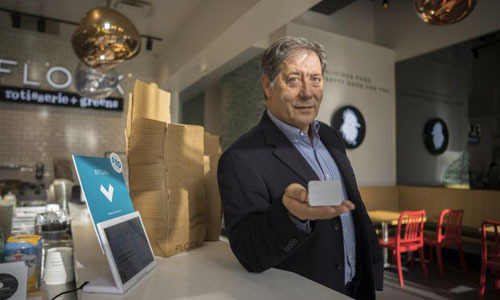 The Canadian restaurant industry has been more significantly transformed by technology in the last five years than in the preceding 50, said NPD Group analyst Robert Carter. The Restaurants Canada nonprofit's Christopher Barry pointed to automated customer-service kiosks in quick-service restaurants that let customers input their own orders instead of standing in line at the counter, which his organization is working to make available to small operators. Barry also said restaurants are beginning to use interactive technologies, with Graffiti Market in Ontario allowing diners to tap on Internet-connected "smart tables" to order food, watch meal preparation via kitchen webcam, play video games, and settle their bill. Said Barry, "We're also seeing augmented and virtual reality gaining traction. In the near future, consumers can go to a restaurant, put on an eyepiece to look at the menu, and see what the menu items actually look like." Researchers at Fudan University in China have developed a method for constructing digital fingerprints that encode secret messages into the spiral points on the prints. The technique involves first encoding the desired message into a polynomial equation; certain features of fingerprints, such as ridges and bifurcation patterns, can then be used to encode the message, based on their directionality. The secret message can then be mapped out in a series of two-dimensional (2D) points with different polarities. After the message is inscribed in a series of 2D points around the spirals, the continuous lines of the fingerprint are synthetically created; all the data is combined to create a hologram of the fingerprint, which maintains polarity and location of data points and protects the message. Fudan University's Sheng Li said the new method produces "relative high data extraction accuracy even if the constructed fingerprint image is binarized, thinned, or severely compressed."